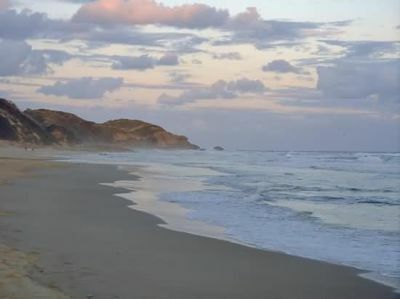 The Eastern Cape, a land of undulating hills, endless sweeps of sandy beaches, majestic mountain ranges and emerald green forests, is in surface the second largest of the nine provinces.The region boasts a remarkable natural diversity, ranging from the dry desolate Great Karoo to the lush forests of the Wild Coast and the Keiskamma Valley, the fertile Langkloof, renowned for its rich apple harvests, and the mountainous southern Drakensberg region at Elliot.The main feature of the Eastern Cape is its astonishing coastline lapped by the Indian Ocean. 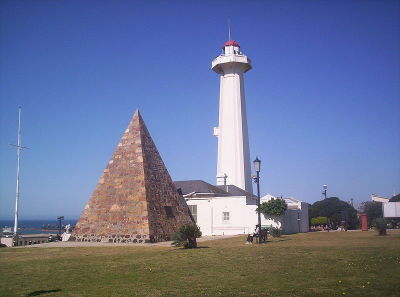 With its long stretches of undisturbed sandy beaches, rocky coves, secluded lagoons and towering cliffs, the coastline provides the province with a rich natural tourist attraction.The graceful curve of Algoa Bay provides an ideal setting for the Port of Port Elizabeth while there are also good harbour facilities at East London. The province is serviced by three airports situated at Port Elizabeth, East London and Umtata.The architecture of many of the cities and towns reflects the rich heritage of the people.The capital is Bisho. 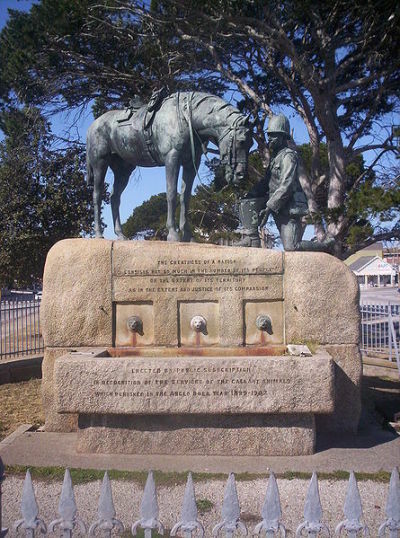 Other important towns in the province include Uitenhage, which has important motor vehicle-manufacturing and related industries; King William's Town, rich in early settler and military history; Grahamstown, also known as the City of Saints because of its more than 40 churches; Graaff-Reinet, with its interesting collection of historic buildings; Cradock, the hub of the Central Karoo; Stutterheim, the forestry centre of the province; Aliwal North, famous for its hot sulphur springs; and Port St Johns, the largest town on the Wild Coast. In the Eastern Cape, various floral habitats meet. Along the coast, the northern tropical forests intermingle with the more temperate woods of the south. This makes for an interesting forest habitat of various species endemic to this region alone.Age-old forests occur at Keiskammahoek, Dwesa, Port St Johns and Bathurst; dune forests are found at Alexandria; and mangroves along the Wild Coast.Rolling grasslands dominate the eastern interior of the province, while the western central plateau is savanna bushveld. The northern inland is home to the aromatic Karoo succulent bush. With its almost seven million people, the Eastern Cape has the third-largest provincial population, living on about 169 600 km2 of land. The language spoken by most is isiXhosa, followed by Afrikaans and English. 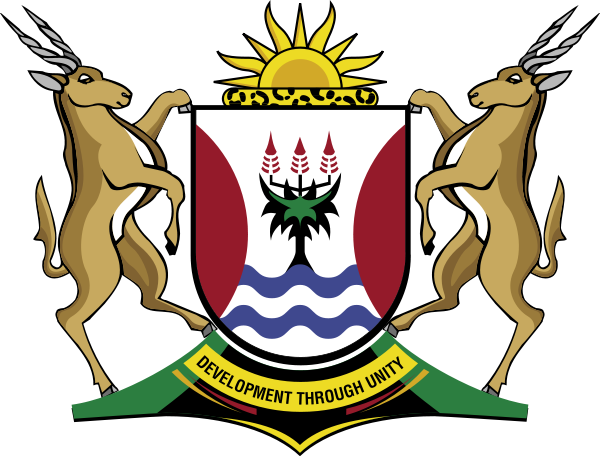 The province has five universities, three technikons and 20 technical colleges. Despite the high quality of educational facilities, 20,9% of those aged 20 years or older have never received any schooling, while 4,7% have completed some form of higher education. The Eastern Cape has excellent agricultural and forestry potential. The fertile Langkloof valley in the southwest has enormous deciduous fruit orchards, while the Karoo interior is an important sheep-farming area. Angora wool is also produced.The Alexandria-Grahamstown area produces pineapples, chicory and dairy products, while coffee and tea are cultivated at Magwa. People in the former Transkei region are dependent on cattle, maize and sorghum farming. Extensive exotic forestry plantations in the high rainfall areas of Keiskammahoek provide employment for large numbers of the population. 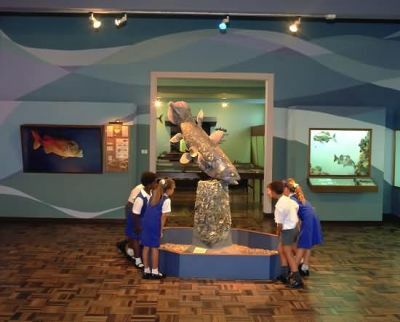 The province is a summer-rainfall region with high rainfall along the coast, but becoming gradually drier behind the mountain ranges into the Great Karoo.The Eastern Cape fishing industry generates about R200 million a year. The basis of the fishing industry is squid, some recreational and commercial fishing for line fish, some collecting of marine resources, and access to line catches of hake. The metropolitan economies of Port Elizabeth and East London are based primarily on manufacturing, the most important being motor manufacturing.The province contributes approximately R30 billion to national GDP and is widely regarded as having the potential to substantially increase this contribution as South Africa moves towards an export-led industrial strategy.With two harbours and three airports offering direct flights to the main centres, and an excellent road and rail infrastructure, the province has been earmarked as a priority for growth and economic development. Former South African President, Nelson Mandela, at the Museum's opening. Situated 73km from Port Elizabeth in South Africa's Eastern Cape, the conservation success story of this park is world famous. The Valley of Desolation is the product of volcanic and erosive forces of nature over 100 million years.Just a few kilometres north-west of Graaf-Reinet lies the Valley of Desolation. A steep and narrow road leads into the mountains that surround the valley. Come to Grahamstown and enjoy South Africa's largest Arts Festival. Africa's largest and most colourful cultural event offers a choice of the very best of both indigenous and imported talent. It is a unique structure with a huge detached cliff that has a giant opening carved through its centre by the waves. 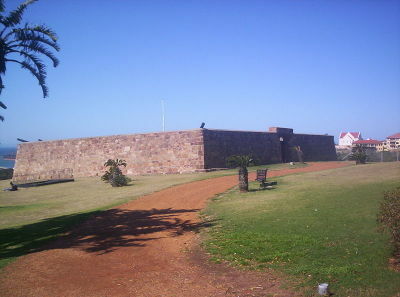 The local Xhosa call this place "izi Khaleni", which means "place of thunder". The Tsitsikamma National Park is also known as "the place of much water". Where the booming breakers of the Indian Ocean relentlessly pound rocky shores, where temperate high forest and fynbos roll down to the sea in an unspoilt verdant carpet, where ancient rivers carve their paths to the ocean down rocky ravines…this, "the place of much water", is the Tsitsikamma National Park. Bloukranz adrenalin rush! Throw yourself off the world's biggest bungee jump located at Bloukrans Bridge on Storms River, in South Africa's Eastern Cape. A 180m freefall that takes seven seconds traveling at 193kmph - even the rebound is higher than the Victoria Falls. The Baviaanskloof or the "Valley of Baboons" is rapidly assuming national conservation and heritage prominence.The Baviaanskloof is a wilderness area situated on the eastern border of the Cape Floral Kingdom, some two and a half hour's drive from Port Elizabeth. Explore the "Camel Yard" and enter a magical world at the Owl House. The owl house, in Nieu-Bethesda just outside Graaf-Reinet in the Eastern Cape, was where Helen Martins, or "Miss Helen" as she was known to the locals, spent the latter part of her life in the house where she was born. Regarded as an eccentric and deeply interested in Eastern philosophy, she lived a hermit-like existence, devoting her life to her beloved Owl statues, and "the search for light and brightness". Experience the perfect wave in J-bay. Probably South Africa's longest and most consistently good wave. It's ordained by ocean deities as a mecca for surf and began in the late 60s and early 70s as a hippie hangout from whence came the surf dynasties: Rip Curl, Billabong, Country Feeling and so forth. Hit the slopes at Tiffendell - the only ski resort in South Africa! Imagine snow skiing and snow boarding in Africa! Well now you can - at Tiffendels, the only ski resort in South Africa! Tiffindell ski resort is situated in the Southern Drakensberg on the slopes of the highest mountain peak in the Eastern Cape (3001m).The resort was started in 1994 with basic small accommodation, a rough road and few facilities, offering exciting snow fun in SA. 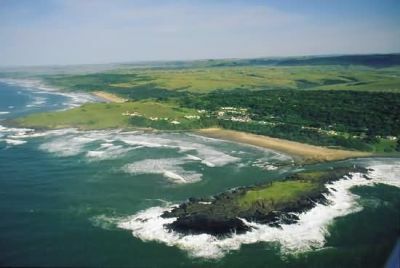 The Eastern Cape offers 800km of untouched and pristine coastline along with some of the world's best beaches. 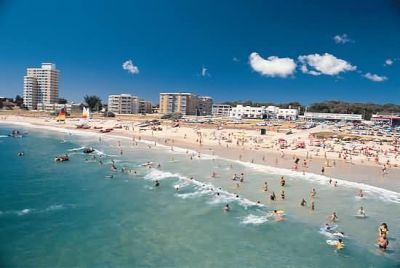 Port Elizabeth alone has 40 km of magnificent beaches and, with its perfect combination of warm water, calm sea and fair breezes, it is one of the best sailing venues in the world, and a Mecca for all beach and Watersports enthusiasts. The Southern Beaches offer safe and sheltered swimming, body surfing, sunbathing, boardsailing, excellent waves and surfing opportunities as well as interesting inter-tidal sealife, while the Northern Beaches offer vast stretches of sand and dunes ideal for long beach walks and superb angling and swimming opportunities.The beaches include King's Beach, Humewood Beach, Hobie Beach, Pollock Beach, Brighton Beach, Bluewater Bay, St George's Strand and Wells Estate. Humewood Beach is linked to Happy Valley - a walk through garden with landscaped lawns, lily ponds and trickling fresh-water rivers. On the south side of the city Schoenmakerskop - a picturesque seaside village - offers scenic picnic spots, coves, rock pools and holiday resorts with safe bathing and fishing in tidal pools.A little further along is Sardinia Bay, a Marine Reserve with miles of unspoilt coast-line and crystal clear water - excellent for diving, horse riding and scenic walks and hikes. The Swartkops River Estuary is a unique Watersports playground - ideal for power boating, canoeing, sailing, windsurfing and angling. 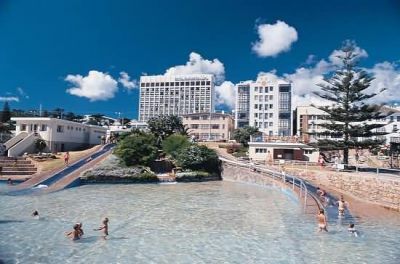 King's Beach, Hobie Beach, Brighton Beach and Wells Estate also offer other entertainment options for the entire family. 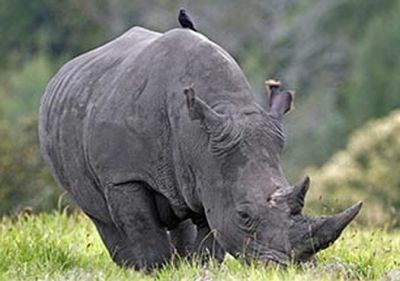 Visitors get up close and personal with some Rhino without the risk of Malaria.When coming to Africa many tourists are weary of getting Malaria - and rightfully so. Now you can rest easy…view the "Big Five" in a malaria free environment! 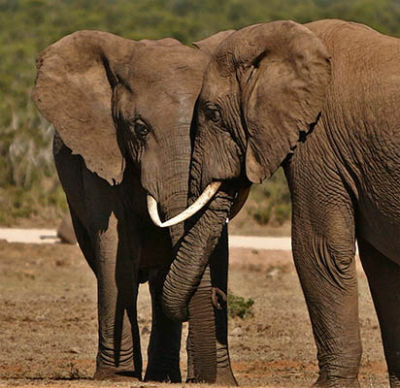 The Eastern Cape boasts the most concentrated elephant reserve in Africa. Home to a herd of 300 elephants, the 'Addo Elephant National Park' allows close quarter viewing.Whether at the exclusive Shamwari Game Reserve, the large Addo Elephant Park or the Mountain Zebra National Parks, the East Cape offers unequalled game viewing in conditions suited to the traveler.Further north, along the Eastern Cape's east cost, we find the Wild Coast untamed and beautiful, this is the perfect holiday destination. Fishing more than anything else, draws holiday-makers to the Wild Coast. In summer, catches include huge reef fish such as musselcracker. In autumn, the annual sardine run brings fighting game fish. Totally unspoilt and uncommercialised, the Wild Coast offers a pleasant climate, mild seas and family resorts where fresh seafood features on most menus. Southern right whales and their calves are regularly spotted from the high dunes, usually between May and November, and common and bottlenose dolphins are often seen close to shore, providing a wonderful treat for people who want more from the sea than food. 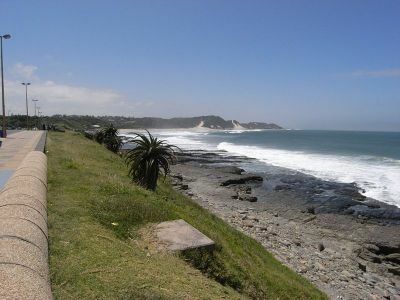 Coffee Bay is easily accessible from the N2 and is popular among surfers, anglers and shell collectors. The lagoon offers safe bathing.